Independent Opticians are highly qualified skilled professionals who have your best interests at heart. They bring the benefits of years of training and experience when taking care of your eyes. They seek to understand you and your lifestyle requirements. They believe in the continuity of care and so invest time in building a relationship with you to ensure the long term health of your eyes. At Douglas & Cobane all elements of your eye test are carried out by our Optometrist who will personally discuss his/her findings with you so that you have a true and accurate picture of the current health of your eyes. Independent Opticians offer professional and impartial advice as they are free to select the most appropriate lens and frame solutions for you. They are not tied to specific suppliers unlike some of the ‘chains’. At Douglas & Cobane we offer a unique choice of quality eyewear chosen by experienced staff to suit all tastes and budgets. Our prices are fair to ensure we always offer value for money. Personal care is at the heart of everything an independent Optician does. They will, when appropriate, make clear recommendations about the eyewear and lens solutions that best match your individual needs. 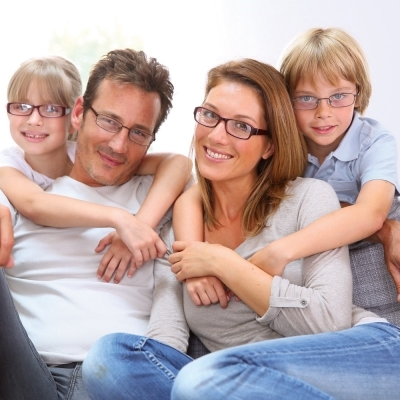 At Douglas & Cobane we offer a comprehensive guarantee and warranty to ensure total peace of mind, including a prescription satisfaction guarantee and frame and lens warranty. Independent Opticians have the time to devote to your requirements no matter how complex. Adequate time is set aside at each appointment for both your examination and the dispensing of suitable eyewear. Early intervention is fundamental to the development of healthy vision. At Douglas & Cobane we offer a child-friendly environment. This includes those for whom such visits may be more challenging e.g. children and young people with a developmental and/or learning disability. Not everyone is physically able to visit their local independent Optician. At Douglas and Cobane we offer home visits so that the eye health needs of those who cannot attend in person are met. There are many well-documented benefits to our communities and to each of us by choosing to purchase from local independent businesses. Of course it may not always be possible to buy what you need locally. 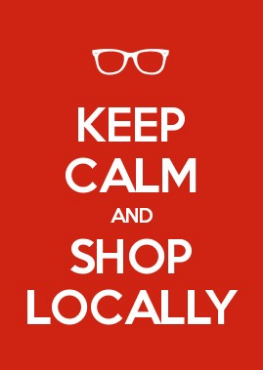 However when you do come to make a purchasing decision, always remind yourself to Think Local FIRST! Buy Local – Support yourself: Studies have shown that when you buy from an independent locally owned business, significantly more of your money is used to make purchases from other local businesses and service providers thus helping to enrich the whole community. Support community groups: Non-profit organizations receive significantly more support from smaller business owners than they do from large national chains. Keep our community unique: Where we shop, where we eat and have fun – all of this makes our community home. One-of-a-kind businesses are an integral part of the distinctive character of a community. Our tourism businesses benefit also! When people go on holiday they generally seek out destinations that offer them the sense of being someplace, not just anyplace. Reduce environmental impact: Locally owned businesses can make more local purchases requiring less transportation, and generally set up shop in town or city centres as opposed to developing on the fringe. This helps to sustain more vibrant, compact and walkable town centres, which in turn are essential to reducing sprawl, car use, habitat loss and pollution. Create more good jobs: Collectively small businesses are the largest employer nationally and in our communities provide the most jobs to residents. In addition, employees of small businesses are less constrained in their work and report greater levels of satisfaction. Get better service: Local businesses often hire people with a better understanding of the products they are selling and take more time to get to know their customers. Invest in community: Local businesses are owned by people who live in the community, are less likely to leave, and are more invested in the community’s future. Put your taxes to good use: Local businesses in town centres require comparatively little infrastructure investment and make more efficient use of public services as compared to nationally owned stores entering the community. Buy what you want, not what someone wants you to buy: A marketplace of many small businesses is the best way to ensure innovation and low prices over the long-term. A multitude of small businesses, each selecting products based not on a national sales plan but on their own interests and the needs of their local customers guarantees a much broader range of product choices.